The Rev'd Geoffrey Hoare, who has been Priest-in-Charge at St. Alban's for the past 18 months, was formally installed as our Rector on Sunday, September 16. Bishop Mariann Edgar Budde commended the Vestry's choice and affirmed the call, asking the congregation, "Are you, the people of St. Alban’s, ready to continue in your ministry, with Geoffrey as your rector?" The response was a thunderous "We are." The afternoon service began with a confession, which the Bishop prefaced with a recognition "that we come to this moment as a community out of sin, broken relationships and failing to commend the faith that is in us." 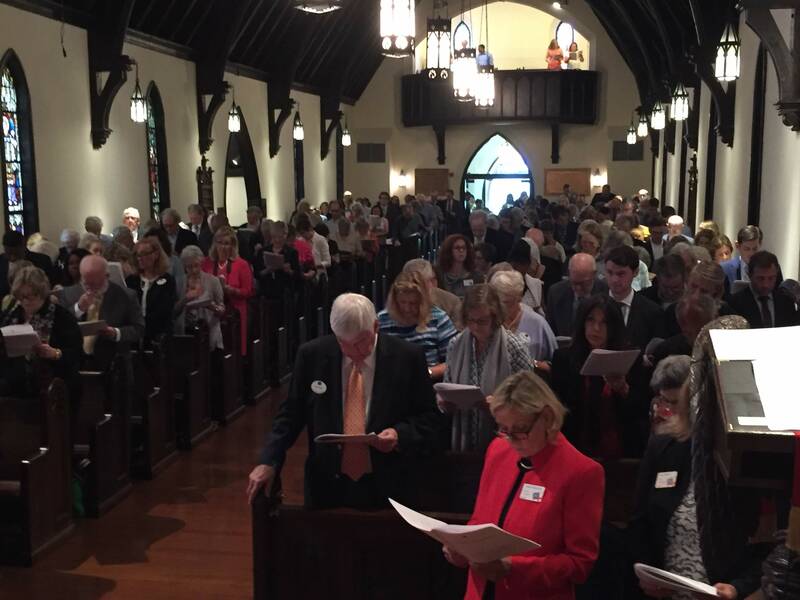 After this repentance and Geoffrey's installation, the service celebrated all the ministries of St. Alban's, as people involved in each of the ministries stood to lead the prayers. 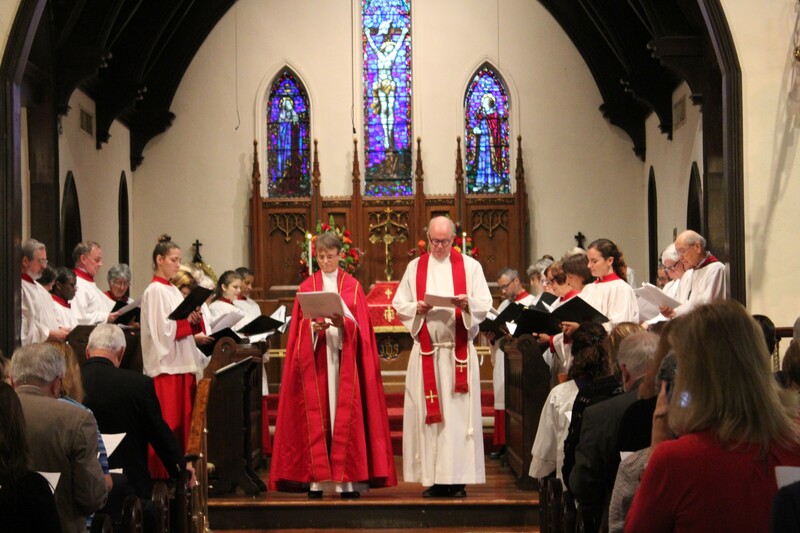 Members of the expanded St. Alban's Choir and the new Schola Cantorum overflowed the choir pews and sang beautifully during the special 4 p.m. service. The offering was dedicated to reestablishing St. Alban's relationship with the Compass Rose Society. 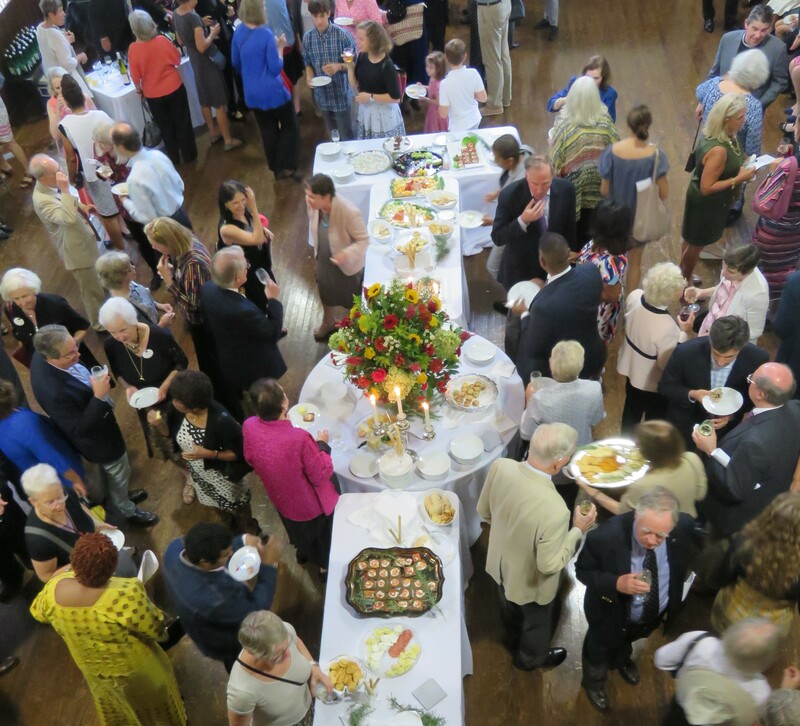 A festive reception in Satterlee Hall followed the service. St. Albanites who regularly attend our English- and Spanish-language services mingled and chatted with visitors and newcomers. Volunteers kept the food coming and the drinks flowing. Many thanks are due to all who helped set up the reception, who contributed food and drink, who made their way through the crowd to serve, and who stayed late to clean up. 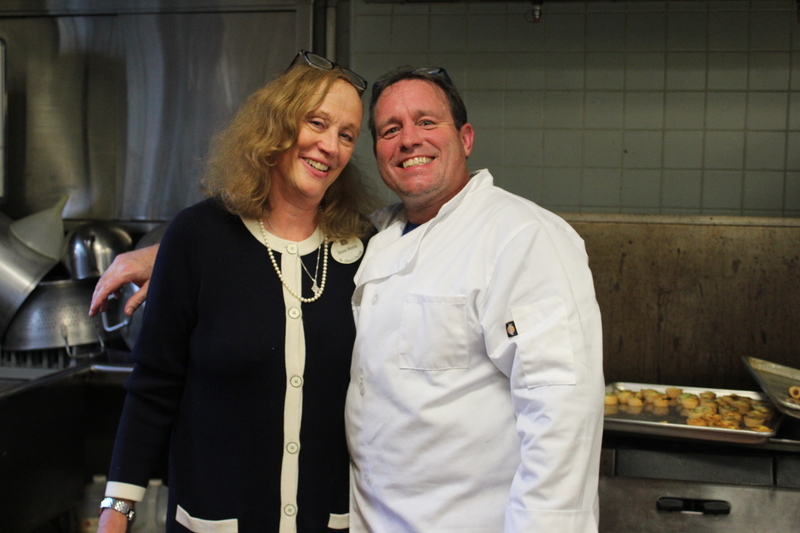 Special thanks go to Susan Morris, who organized the party, and to new parishioner John Pratt, who spent 8 hours in the kitchen baking and prepping to keep the food trays in circulation. We've posted many more photos in this gallery. Enjoy! What a wonderful write-up of a glorious installation - thanks to Susan, John, Deborah and all!